Sport has always played a central role in Marcus’ life, from his early days as a junior international rugby player, through to today where he regularly competes in ultra cycling races and mountaineering expeditions. Three Grand Tours: Marcus rode himself into cycling’s history books in 2017 by completing the Giro d’Italia, Tour de France and Vuelta a Espana in the same year, something fewer than 60 people have achieved in the 73 years that those 3 great races have existed. Riding one day ahead of the professional races he covered close to 11,000km in just 63 days. Mont Blanc: Inspired by Ed Viesturs book ’No Shortcuts to the Top’ Marcus travelled to Chamonix in 2015 to climb the highest mountain in the Alps, an expedition that would put him face-to-face with death, yet still ignite a passion for mountaineering. BikingMan Oman: Marcus finished eleventh in the Middle East’s and his first ever ultra cycling race, a 1050km loop of Oman that started in Muscat before heading deep into the stunning Hajar Mountains, and down into the Ash Shariyah Desert before finally wending its way along the coastal road to finish in Muscat. BikingMan Corsica: Following his success in Oman, and having found his true passion when it comes to cycling, Marcus signed up for a far harder ultra in Corsica. With 12,000m of climbing over a 720km course the race attracted many ion the sport’s leading names. Surviving on just two hours sleep Marcus finished fourteenth. Tour du Mont Blanc: In 2016 Marcus successfully completed ‘the world’s toughest one day bike race’, having fallen short on his first attempt a year earlier. The 330km circumnavigation of Mont Blanc travels through three countries and features over 8000 metres of vertical ascent. Mount Elbrus: Situated in the Caucasus Mountains in Russia, Mount Elbrus is Europe’s highest peak. Marcus successfully summited in 2016, at the second time of asking, having seen his first attempt a year earlier derailed by food poisoning. 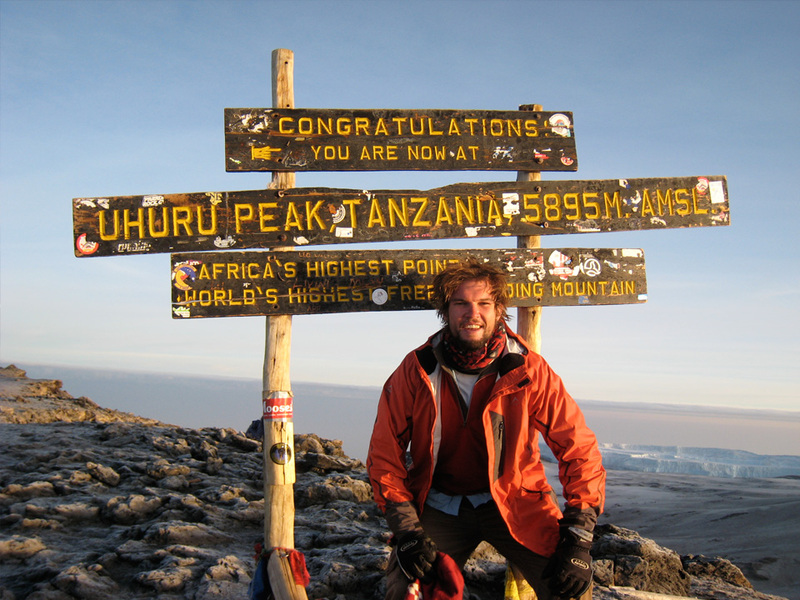 Mount Kilimanjaro: Marcus summited Africa’s highest mountain, which stands at over 6000m, during a flightless journey from Cape Town to Cardiff. With his brother as his climbing partner the two took on the challenge in memory of their late Gran.